Allow the tangy aroma of Passionfruit (lilko’i -traditionally an aphrodisiac) and essence of Frankincense to refresh and lift your spirits. 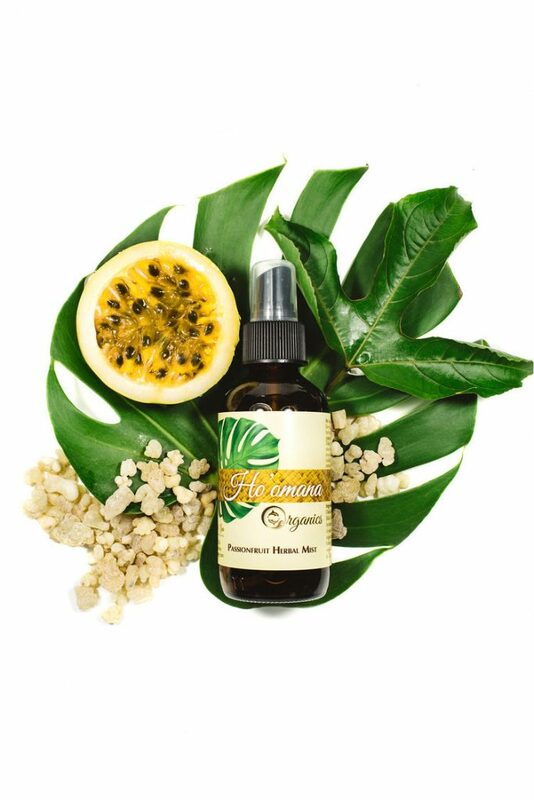 Hawaiian Herbal Healing Mists are produced using a signature blend of Organic Essential Oils, wild-crafted hydrosols of pure Native Medicinal Plants, Hawaiian Salt, and distilled Spring Water. Use this hydrating mist for the face and body and for refreshing linens and spaces allowing the spirit of these plants to infuse Aloha into your day. Enjoy this Herbal Mist which blends plant based hydrosols of Hawaiian Passion fruit ( liliko’i) and essential oils. Lift your spirit & reveal your skin’s natural radiance with this refreshing tonic.